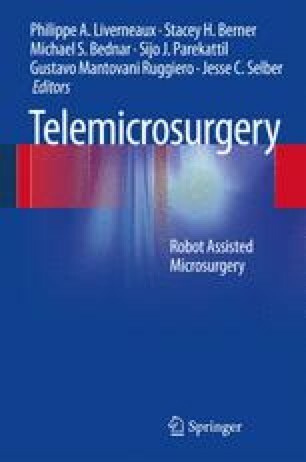 Microsurgery Training Using Earthworms: The training protocol on robotic microsurgery does not differ from traditional microsurgery training cards, except for the use of the robot. Thus, the surgeon must begin with exercises regarding the use of the telemanipulator device, and then traditional artificial or biological models for microsurgery practice are used under robotic manipulation. This chapter describes an overview of all the training processes with special attention on the innovative biological model using earthworm pieces.